Many have noted that Mission Chinese Food really hasn't been as awesome as it once was, specifically back when founding chef and now James Beard Award winner Danny Bowien still lived in San Francisco. But he decamped to New York and found fame and fortune there, and Mission Chinese Food NY is, by most accounts, pretty great. But maybe sensing that he'd neglected it for too long, Bowien just gave the menu at the SF location a wholesale revamp for the first time since the place opened, to help kickstart the work of recently installed chef de cuisine Frank Mitchell. As Eater notes, via co-owner Anthony Myint, Bowien was back in town on his book tour and he wanted to "do a big refresh" at the SF location. Gone are some longtime mainstays like the tea-smoked eel and Grandma's pork dumplings, and he's added some new items like cumin lamb larb, beef tartare lettuce cups, sweet and sour pork jowl, and matcha and ginger scallion noodles. 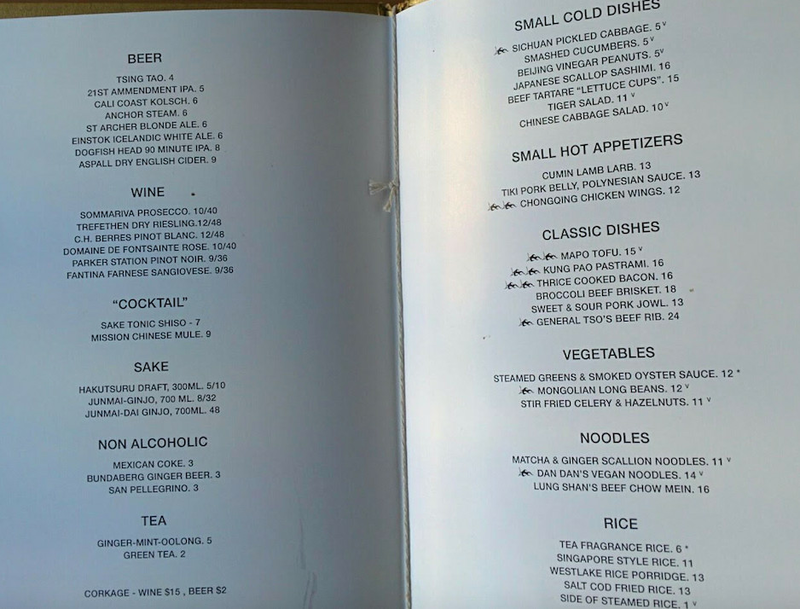 "These are all Danny's dishes," says Myint, "but Frank has a lot of ideas, too," adding that Mitchell will be responsible for all daily specials. Most, but not all, of the new menu items are online here, but Eater has a photo of the printed menu as it is this week.